return? All you have to do is reciprocate and it just goes from there. your blog.”And so I have! What a wonderful idea! 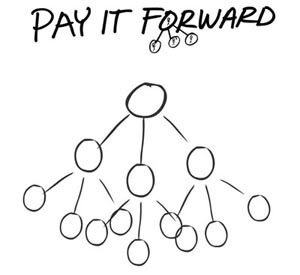 I think I'll "pay it forward" and put this on MY blog too! Love the PIF idea. I'll be posting it on my blog too. Love reading your blog! Keep up the great work!